Driving through Kansas on Monday we took the scenic byway through the Tallgrass Prairie Preserve. 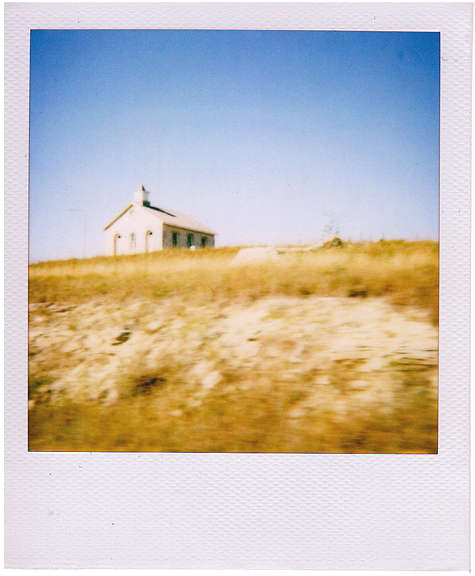 This is an old stone schoolhouse perched on top of a rolling hill. I took many photos and will upload them soon, maybe tonight. I have a couple more polaroids I took that I'm sharing one at a time. I'm saving my favorite for last!